If you would position your project on the left side of this spectrum, an integration on webserver level is a good fit. With this model a server collects and concatenates HTML strings from all components that make up the page requested by the user. Updates are done by reloading the page from the server or replacing parts of it via ajax. Gustaf Nilsson Kottehas written a comprehensive article on this topic. When your user interface has to provide instant feedback, even on unreliable connections, a pure server rendered site is not sufficient anymore. To implement techniques like Optimistic UIor Skeleton Screens you need to be able to also update your UI on the device itself. Google’s term Progressive Web Apps aptly describes the balancing act of being a good citizen of the web (progressive enhancement) while also providing app-like performance. 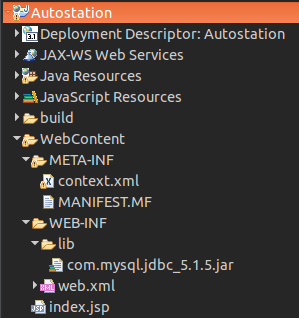 This kind of application is located somewhere around the middle of the site-app-continuum. Here a solely server based solution is not sufficient anymore. We have to move the integration into the browser, and this is the focus of this article. This page is divided into two main areas. First we will discuss Page Composition – how to assemble a page out of components owned by different teams. After that we’ll show examples for implementing clientside Page Transition. In this example, the page is split into separate components/fragments owned by three teams. 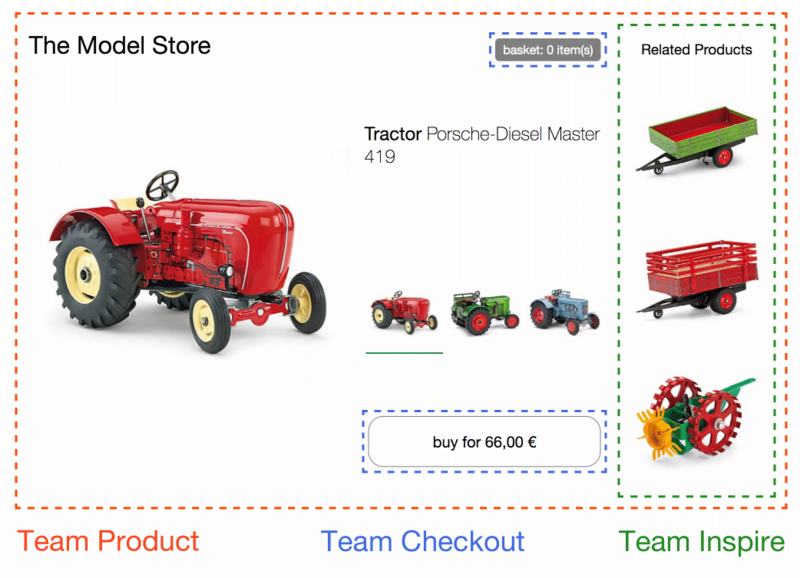 Team Checkout (blue) is now responsible for everything regarding the purchasing process – namely the buy button and mini basket. Team Inspire (green) manages the product recommendations on this page. The page itself is owned by Team Product (red). Now every time the browser comes across a new blue-buy tag, the constructor is called. thisis the reference to the root DOM node of the custom element. All properties and methods of a standard DOM element like innerHTML or getAttribute() can be used. Imperatively calling DOM methods is quite uncommon, but can be found in video element apifor example. If possible the use of the declarative approach (attribute change) should be preferred. The src files are mapped into the individual containers and the node application will restart when you make a code change. Changing the nginx.conf requires a restart of docker-composein order to have an effect. So feel free to fiddle around and give feedback. There are different options to avoid an annoying reflow like this. Team red, which controls the page, could fixate the recommendation containers height. On a responsive website its often tricky to determine the height, because it could differ for different screen sizes. But the more important issue is, that this kind of inter-team agreement creates a tight couplingbetween team red and green. If team green wants to introduce an additional sub-headline in the reco element, it would have to coordinate with team red on the new height. Both teams would have to rollout their changes simultaneously to avoid a broken layout. A better way is to use a technique called Skeleton Screens. Team red leaves the green-recosSSI Include in the markup. In addition team green changes the server-side render methodof its fragment so that it produces a schematic version of the content. The skeleton markup can reuse parts of the real content’s layout styles. This way it reserves the needed space and the fill-in of the actual content does not lead to a jump. Even on an attribute change like for the variant select you can decide to switch to skeleton view until the new data arrives. This ways the user gets an indication that something is going on in the fragment. But when your endpoint responds quickly a short skeleton flickerbetween the old and new data could also be annoying. Preserving the old data or using intelligent timeouts can help. So use this technique wisely and try to get user feedback. Power grid systems are considered an integral part of modern society. Their robustness and efficiency not only impact our daily lives, but also influence economy, politics, and the global environment. Power grids continually evolve over time to accommodate and promote societal developments; currently, transmission grids are going through a transition from relying on traditional centralized utility-based power generation to integrating distributed energy resources (DER) such as photovoltaic (PV) systems, distributed energy storage (DES) such as battery systems, and demand response (DR). With the additional push for the integration of smart Internet-of-Things (IoT) devices, the smart grid is continually evolving into an increasingly interconnected cyber-physical system (CPS) that requires a paradigm shift in both its planning and operation. The use of graph databases as a sophisticated tool for modeling the connection between system components– transformers, distribution lines, DER, DES, IoT devices, grid operator, electricity consumers, etc.–can aid in managing the rapidly evolving smart grid. To address the demand of managing the integration of connected devices and enabling new business models from the heavily interconnected systems, current architectural reference models were considered and components of each synthesized into a software stack for smart application development. This work lends its implementation approach to the utility of graph theory in modeling complex systems, and implements a graph database for managing and maintaining connected components that emphasize each component’s virtual and physical connectivity, its technical functionalities, and its state. The graph database microservice is then integrated with a highly available web framework and communication broker service in a multi-layered software framework to integrate Internet-of-Things devices and make services available over the web. The framework’s–and its respective components’–efficacy has been demonstrated in a simplified use case for modeling, connecting, and controlling interconnected homes in a modern smart grid and abstracting transactional device data for new business models, such as demand response ancillary services. SMART GRID SUBGRAPH SHOWING RELATIONSHIPS BETWEEN VARIOUS ACTORS. NODE-RED FLOW OF A GATEWAY FOR CONTROLING A HOME ENERGY MANAGEMENT SYSTEM. 2- Install the Connector/Net 6.8.1 product. c. Before you run the Wizard compile your application so the new changes are applied. 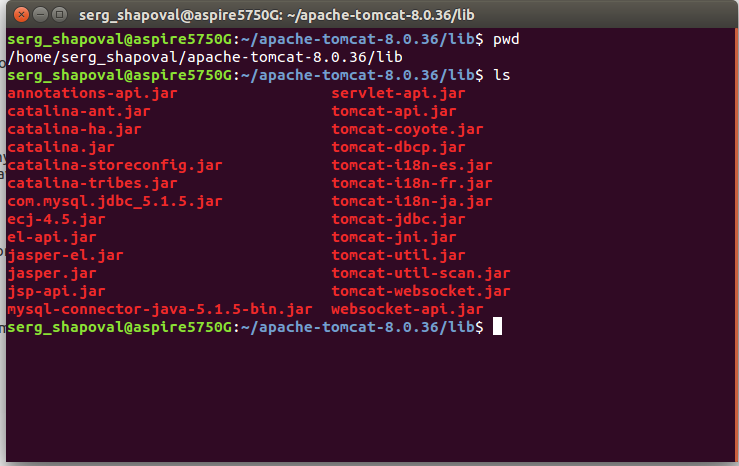 Content of my tomcat/lib directory and my project structure. If you check well the real error is No suitable driver which means that it cannot find any JDBC driver that supports the provided URL. Online tools and resources have made it easier for teachers to instruct students, and for students to collaborate with those teachers and with other students and parents. These “Web 2.0” teaching tools aren’t magical, but they may seem to defy definition at times since they save time, help you to stay organized, and often take up little space on a computer. Some of these applications are Web-based, which means that they can be accessed from any computer. The following list is filled with tools that will make a teacher’s, or those enrolled in the best online education programs, life easier. The categories are listed in alphabetical order and the links to each tool are also listed alphabetically within those categories. The following list includes free tools that you can use to stay on top of current events, including headlines and blogs. Aggie: Aggie is an open source news aggregator that’s also a desktop application. It downloads the latest news and displays it in a Web page. Awasu: Awasu is a state-of-the-art feed reader that comes loaded with features for both casual personal use and professional, high-powered information management. Use this tool for content archiving, coupled with an advanced search engine, and use advanced features to manage your configurable channels. The personal edition is free to download and use. Bloglines: This is more of a personal news aggregator than a bookmark tool, but it’s sophisticated and highly useful for teachers who want to stay on top of current events in any given topic. FeedReader: This is a free reader that is simple to use. It supports podcasts. RSS Reader: This RSS reader is able to display any RSS and Atom news feed (XML). WikiNews: Anyone can contribute, and articles are written collaboratively for a global audience. They strive at all times to meet the policy of using neutral point of view, ensuring that their reporting is as fair as possible. Since this is a wiki, you can combine this site with other objectives in a project for your class. Bookmark managers make it easy to build a personal directory where researchers can tap into sites and materials that have been saved online and share them with others in most cases. The following bookmark managers are free to use, but they all have different angles. In other words, teachers and professors can do more with these sites than save a page or two. del.icio.us: This is a popular social bookmarker, but it’s an easy tool to use if you have a handle on how to use tags. Diigo: Turn your students onto this tool, which works like a bookmark manager with a highlighter or with sticky notes. This is an ideal way to research for a paper or to create a new project for class. This site works much like MyStickies, but without Diigo’s highlighter. Facebook: While Facebook is a social utility that can connect you with friends as well as with students, you can also use this tool to bookmark Web sites and specific Internet pages. LinkedIn: Sometimes you just want to get away from the students. LinkedIn provides a way for you to communicate with your peers instead (or not), and it’s also useful for bookmarking. Pinterest: With Pinterest, teachers can organize and share anything from lesson plans, ideas, and crafts using a virtual bulletin board. Teachers can also use this tool to network with other educators. Twitter: Twitter is a service for friends, family, and co–workers to communicate and stay connected through the exchange of answers that can be no longer than 140 characters and spaces per post. Use this tool to help your students stay up-to-date, as you could advertise a Twitter address that students could use to learn about school projects, reading assignments, and other announcements. You can also use this tool as a bookmark manager for research. Yahoo! Bookmarks: Yahoo! Bookmarks is not intended to be a social bookmark site like the others. Instead, it essentially allows you use your personal bookmark list at any computer. In fact, it acts and feels very much like your browser’s built-in bookmark manager. You need tools to help assess class progress. You need tools to help keep students and parents apprised of the students’ progress. You need all sorts of tools, you need them at your fingertips, and you need them to work efficiently. Some of those tools are listed below. Animoto: This web tool completely simplifies the creation and sharing of videos. Teachers will have no trouble creating lesson plans or presentations for students. Charles Kelley Quiz Generator: Create multiple choice or bilingual tests. Though some of the quizzes generated here can only be used on this website, others can be put on your own website. Crocodoc: This web tool allows teachers to convert Microsoft Office and PDF documents to HTML5, making them easily viewable. Teachers can display students’ documents in their browsers and edit as needed. CuePrompter: This free service allows teachers to use their browser as a teleprompter. All users have to do is write or cut and paste their script online and press a button to start the prompter. Engrade: Engrade is a free online gradebook that allows teachers to manage their classes online as well as post grades, assignments, attendance, and upcoming homework online for students and parents to see. Engrade is free and easy to use. Join over 10,000 teachers, parents, and students using Engrade today. Forvo: This online pronunciation dictionary comes in handy for foreign language teachers. Users can hear any word pronounced in any language. Grammarly: Several universities use this tool as a grammar checker. Students can use this as a method to improve the process of peer editing because it checks for more than 250 points of grammar. My Project Pages: Built by teachers for teachers, use myprojectpages.com to create structured online inquiry-based learning activities for the courses you teach that enable your students to engage in meaningful learning experiences while online. Online Stopwatch: Just as the name suggests, this tool is a web-based stopwatch teachers can use for timed exams and other assignments. Schoopy: You can post homework in more than one location on SCHOOPY. The first place you should consider is the calendar, where you can post important dates and notices. However, you may choose to use the Assignments/Quizzes/Files tool depending on how you would like to contact students. Slideshare: Ok, so you’re still with PowerPoint, but you can jazz that presentation up at Slideshare. This site takes your .ppt file (also works with Open Office and PDF files) so you can share it with your students (and the world at large). You can add music, embed videos in comments and more – all for free. Survey Builder: Survey Builder allows you to easily create and manage online surveys suitable for Internet-based oral history projects, course evaluations, and other endeavors that involve collecting feedback. You do not need to know how to build a Web page that has forms, set up a database to store entries, or do any of the other technical tasks that are normally required to produce interactivity on the Internet. Teacher Planet: Teacher Planet is a one-stop spot for teacher resources. Teachers can download any number of lesson plan templates, worksheets, ESL-specific resources, and other tools. Web Poster Wizard: This free tool allows educators to create a lesson, worksheet, or class page and immediately publish it online. Yugma: Teachers can use the free web conferencing feature with Yugma and also share their entire desktop in real-time with one student. This can be extremely helpful in one-on-one advising with students. Part of teaching is collaboration. Teachers need to communicate with peers, administrators, and students. 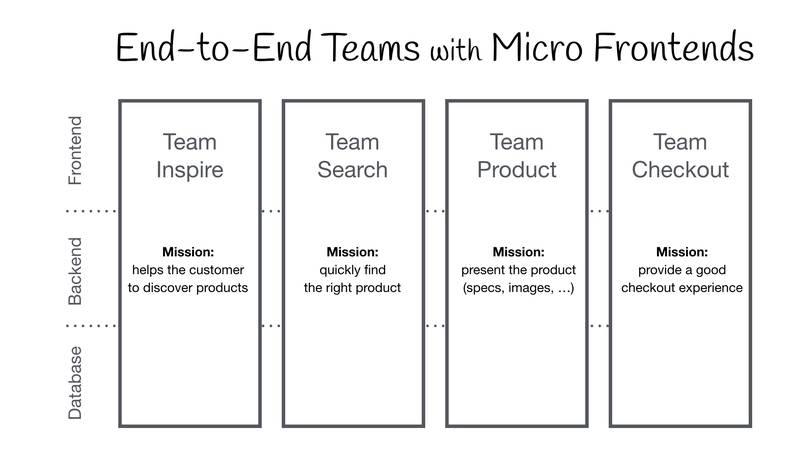 The tools listed below – some free and some for a cost – will help you stay on top of your projects with ease through open channels for collaboration. Basecamp: Projects don’t fail from a lack of charts, graphs, stats, or reports, they fail from a lack of clear communication. Basecamp solves this problem by providing tools tailored to improve the communication between people working together on a project. Edmodo: Extremely similar to Twitter, except specifically designed for educators, Edmodo facilitates collaboration and content sharing among students, teachers, and school districts. FirstClass: Using a personalized Web page as a communication hub, teachers can send messages to the principal, pick up student assignments, change homework tasks for that evening, or have students build their own Web pages. FirstClass will run on a single server with one administrator for any number of users. This tool is not free. Gliffy: This diagram editor is easy to use, and you can save your work on their servers for free. Gliffy Online has two ways to make document sharing simple. Collaboration enables others to see and edit your work by simply entering their email address. Publishing creates a read-only, or public, image of your diagram that you can easily embed in a wiki, blog, or other type of web software. LiveText: LiveText is a Web-delivered subscription service for teachers featuring collaborative lesson-building activities. Simple and easy to use, LiveText uses lesson planning as a focus for engaging the educational community. This is not a free service. Mindomo: Mindmapping is a highly productive method of visual brainstorming that you can use to plan projects or to map out a knowledge base. Mindomo has an interface and feature set that rivals other free standalone mind-mapping applications such as Freemind. Maps are shareable but require you to register and login to save them. NoteMesh: Add some social flavor to your note taking with this collaborative wiki style class note taker. Users can post their lecture notes or contribute to existing lecture notes. NoteMesh wants to get classmates to collaborate to create a single definitive source for lecture notes. Schoology: Teachers can use this tool to share their instructional resources and connect with other educators. Skype: Teachers can collaborate on classroom projects while having their students visit a classroom in another part of the world using the interactive Skype in the classroom. Skype is a part of Microsoft, and it’s free to use. Twiddla: Twiddla is a great way to connect with students or other educators. 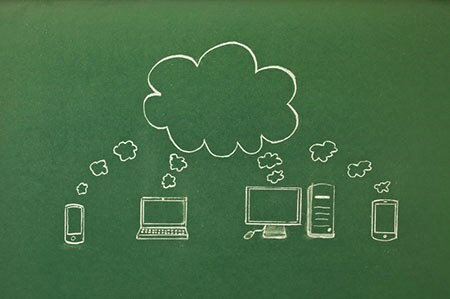 Through its web-conferencing capabilities, teachers can brainstorm and share ideas. WebOffice: Like FirstClass, WebOffice creates a virtual office environment for real-time meetings, and with the purchase of additional audio and video components, creates an experience that’s almost like being there. This is not a free service. You may need more than simple classroom tools like a quiz generator. You may need content, the ability to communicate, organization tools, and more. The following site offers at least one of these tools in combination with other capabilities. Most are open source and/or free. ATutor: Administrators can install or update ATutor in minutes, develop custom templates to give ATutor a new look, and easily extend its functionality with feature modules. Educators can quickly assemble, package, and redistribute Web-based instructional content, easily retrieve and import prepackaged content, and conduct their courses online. This is an open source tool. Bubbl.us: Teachers can use this tool for brainstorming and class discussions. Dokeos: Dokeos is a learning management system used in more than 600 companies and public administrations to manage e-learning and blended learning programs. This is open source software. dotsub: This tool will be helpful for teachers of foreign languages. For a fee, dotsub will translate videos using subtitles and students and teachers can upload their own videos and create subtitles. Drupal: Drupal is an open source project that offers a flexible framework to set up a social learning environment or a more traditional learning environment. EduTools: The EduTools site has been re-launched as a community-driven site, beginning with the Course Management System (CMS) site. They continue to offer feature-by-feature product comparisons and decision-making supports. In addition, the site now includes the ability for any user to submit reviews for new products that haven’t already been reviewed or to add their own feedback on specific products and feature implementation. eFront: Easy to use, visually attractive, SCORM compatible, open source e-learning and human capital development platform. LAMS: LAMS (Learning Activity Management System) provides teachers with a highly intuitive visual authoring environment for creating sequences of learning activities. These activities can include a range of individual tasks, small group work, and whole class activities based on both content and collaboration. Merlot: A free and open resource designed primarily for faculty and students of higher education. Links to online learning materials are collected here along with the ability to connect with peers. Prezi: Teachers can use this presentation tool to organize and share ideas with other educators. RCampus: RCampus is a system that allows teachers, students and administrators to manage courses, build virtual portfolios, create websites, join virtual communities, and assess school work with rubrics. Sakai: Sakai is a community of academic institutions, commercial organizations and individuals who work together to develop a common Collaboration and Learning Environment (CLE). Schooltool: SchoolTool is a project to develop a common global school administration infrastructure that is freely available under an Open Source license. SchoolTool encompasses three sub-projects including a calendar and resource management tools, a student information system, and the ability to track which skills students are acquiring in their classes and at what level of competency. Sloodle: Sloodle is an open source project that aims to develop and share useful, usable, desirable tools for supporting education in virtual worlds, making teaching easier. If you have enough technical support or nous, and your own server, you can download the Sloodle source code and install it on your own Moodle installation. Otherwise, you can try out a few elements on the Web site. StudySync: With resources such as peer reviews, weekly writing practices, and an extensive digital library, StudySync is an essential tool for teachers preparing students for academic success. The following list includes tools that teachers will find helpful with educational technology or electronically supported learning. Annenberg Learner: This tool is a haven for educators because they can find a plethora of free videos to enhance their teaching. Course Builder: This tool allows teachers to construct their own courses from scratch. With access to Course Builder’s software and instructions on presenting course material, educators will have the means to create courses for as few or as many students they like. Curriki: As a free resource, teachers can create and share their best curriculum and teaching practices, and mix and match lesson plans, videos, animations, and photos to create custom teaching tools. eStudy: eStudy is an open source e-learning and collaboration platform for colleges and universities. In addition to usual course management facilities, eStudy provides special support for role-play simulations in computer science. Open Study: In its mission to make the world one large study group, this social site encourages students to work with other students who are studying the same material as them. PBS Learning Media: Using PBS Learning Media, teachers have access to videos, games, audio clips, photos, lesson plans, all of which they can save and share. Best of all, it’s free. By utilizing gaming methods and mechanics, these tools will help teachers bring a little interactive fun and excitement into their classrooms. BadgeStack: Used by organizations such as the New York City Department of Education and the American Association for State and Local History, BadgeStack is set up to deliver digital badges to students once they master a skill. CourseHero: Using this web learning platform, students in high school and college can access course materials such as flashcards, tutors, and courses. FunBrain: Geared toward younger students, FunBrain provides users with interactive games in subjects such as math, reading, and literacy. MangaHigh: Teachers can use this game-based tool to teach math concepts to their students. The best part: it’s absolutely free! The tools listed below behave just like any other commercial office suite applications. The only difference is that they’re free to use. Google Docs: Google has managed to replicate Excel, Word, and PowerPoint with Google Spreadsheets, Docs, and Presentations, respectively. You can upload, create, and store all these files online, and then download them to other office applications and save them on your hard drive or share your work with others online. Google surrounds these tools with their famous search application, access to online books, and a scholars’ search for online documents. The tools for teaching are virtually endless. Apache Open Office: Download this free office suite to replace Microsoft Office tools. It is a multiplatform and multilingual office suite and an open-source project that includes key desktop applications such as a word processor, spreadsheet, presentation manager, and drawing program with a user interface and feature set similar to other office suites. OpenOffice.org also works transparently with a variety of file formats, including those of Microsoft Office, and the vendor-neutral OpenDocument standard from OASIS. You can also save files in PDF format. ThinkFree: This beta system offers Word, Excel, and PowerPoint clones that run in any browser for free. These are java applications, so they take a moment to ‘warm up’ before you run them, but once you have the program running the process runs smoothly and quickly. ThinkFree opens and saves to standard Microsoft Office formats such as .doc, .xls, and .ppt on your hard drive. They can also save documents to PDF, something you can’t do with Microsoft. If you want to save files on ThinkFree’s servers, you have 30 megabytes of storage space to use for free. This is a truly intuitive tool, especially if you’re already familiar with Microsoft Office. ZOHO: Zoho is an office productivity suite that works much like Google Docs in that you have access to spreadsheet, word, and an online presentation tool. You can upload, save online, download, and share. You also have access to other tools such as mail, project management software, and more that make this suite perfect for classroom projects. Oh sure, you have a stapler, a copier, and access to other tools. But, what if you could gain access to file converters, presentation tools, and other management resources from almost any computer? Or if you could download some tools and use them from your computer at any location? These tools could make your life a little easier or at least help you out of a jam. bitly: This tool shortens links and can be handy for teachers who send numerous links to their students. It even allows teachers to see how many students clicked on a particular link. Cute PDF: No adware, spyware, or malware involved. Just download and go to town making PDFs from just about any document file. This is freeware. Document Converter eXpress: Neevia Document Converter eXpress makes it possible for anyone to instantly convert their files to PDF or Image without the need of installing special software. There is a 1 MB restriction. Empressr: Upload video, images, text – you name it – to create an online presentation. This is the first Ajax/Flash-based presentation web application, and it’s an interesting way to get your online class projects together for free. Gmail: This email program is free and quite popular. With efficient spam filtering, and Google Talk contacts displayed (so you can simply chat with contacts rather than send an email), Gmail is a great option for students and teachers to use. Google Calendar: With this tool, teachers can keep track of lessons, exams, projects, and other assignments. It’s free and available to anyone with a Google account. MultiURL: Imagine the need to send several links in one email – it can be a little confusing and what if the links are broken? MultiURL is a tool that allows users to combine multiple links into just one shortlink, which can then be shared more easily. And don’t worry, the links can be edited at any time. Penzu: This tool allows teachers to create their own online journal, which can be helpful when taking class notes. Penzu makes all entries private by default, but users can choose to share individual entries. yousendit: You can use the free trial to send large files (like that dissertation!). This tool replaces the need for FTP transfers, overnight couriers and unreliable email attachments. If you need to get something done quickly, there’s no better method than to organize your mess. Pull notes, dates, to-do lists and more together with the following tools. 30 Boxes: 30boxes is a calendar tool that has the extra feature of allowing you to track headlines from RSS Web feeds. You can add your calendar to Google’s Blogger or to your Facebook page. Share it with friends, family, or with students who need to know when that project is due. HiTask: Dragging and dropping goodness makes this task tracker a fun tool to use to stay on top of things. Colored tags can be applied so users can easily identify and review important items. Meetings or reminders can be set by dragging their instance onto a calendar and into a time based schedule. Members of teams can also be assigned certain tasks by dragging the task onto the person’s name. It’s a very clean and east to use application. It does not allow for unlimited information, but there is an option for a $12/year for a premium account. Remember the Milk: If you’re a list freak, this tool is right up your alley. You can manage your tasks even when your computer is not connected to the Internet. You can choose to receive reminders via email, SMS, and instant messenger (AIM, Gadu-Gadu, Google Talk, ICQ, Jabber, MSN, Skype and Yahoo! are all supported). TiddlyWiki: This is a reusable, nonlinear notebook that you can use to keep track of projects. This tools works with all major desktop browsers on Windows, Macintosh and Linux and many mobile browsers such as the Apple iPhone and the Nokia 770/N800. Zamzar: This free online file conversion tool will help teachers organize their videos, images and documents. Use blogs to teach, to build classroom community, to create class projects and more. The sky’s the limit on what you can do with these tools. What’s nice is that these blogs are free to use, although some may be free to specific groups of educational professionals or learners. And, these content management systems range from very, very easy to use to somewhat sophisticated (that is, you might need to know some code for installation or maintenance). CMS Matrix: It would be impossible to list all content management systems here, so this site does it for us. Compare up to ten different systems and visit their Web sites through links maintained on CMS Matrix. Make an informed decision with their help on systems that range from ACM Ariadne Content Manager to zwook. EduBlog: Powered by WordPress, these free blogs for teachers, researchers, librarians and other education professionals can help you to communicate to students and to your peers. Geeklog: Geeklog is a PHP/MySQL based application for managing dynamic web content. “Out of the box,” it is a blog engine, or a CMS with support for comments, trackbacks, multiple syndication formats, spam protection, and all the other vital features of such a system. Use plugins to radically alter its functionality. Available plugins include forums, image galleries, and many more. LiveJournal: You can use LiveJournal in many different ways: as a private journal, a blog, a discussion forum, a social network, and more. SchoolNotes: Create Notes for homework and class information and post them on the web in seconds using this free community service. Parents and Students can view notes from teachers through school zip code. TeacherTube: Think YouTube for teachers and educators, as this site’s layout and focus is similar; however, TeacherTube seeks to fill a need for a more educationally focused, safe venue for teachers, schools, and home learners. Site can be slow to load at times. TubeChop: This tool allows users to chop a specific section from a YouTube video and share it. This can be extremely helpful for teachers who want to just use a snippet of a video during lecture because the excess video footage can easily be removed. WordPress: This tool is free, and you can set it up on a personal Web space or use the free spaces offered at this site. WordPress is known for its excellent community support. Nothing beats a backup for storage; however, when you need to share files or if you need to gain access to files from another computer, online storage and transfer is the way to go. However, we don’t suggest uploading student test papers to grade on vacation in the Bahamas. That’s counterproductive. 4shared: Teachers can enjoy 15GB of free storage space with 4shared. Diino: The 2GB free account is limited to two users logged in at the same time. FlipDrive: Use your FlipDrive account to securely store your files online and then access it from any web browser; backup and protect your critical and most important data from computer crashes and viruses. This site is free to use for thirty days, and charges after that time will depend upon amount of storage you need. HyperFileShare: Share files with unlimited transfers up to 250MB and unlimited space – all for free. If you share files privately they keep them for 30 days from the last download. If you share files for community (publicly), they may keep them longer. LiveBinders: This tool is essentially a 3-ring binder for the web. Teachers can organize and store resources and important documents. Planboard: Planboard helps teachers simplify their lives by streamlining lesson plans and centralizing everything onto a computer. Scribd: Users get free unlimited storage and access to the world’s largest online library.